We are the fans of the Villains from Walt Disney's Gargoyles series! This club's purpose is to support all of the villains from Gargoyles. This club's art gallery contains fan-art of the original villains and fan-fiction villains that it's members have created. Follow these rules and you'll do great in the group. Rule #1: No fighting and be nice to fellow members it's intolerable and I don't want to kick anyone out. Rule #2: No pirating anyone else's work, it's wrong and uncalled for. Rule #3: No using screenshots unless you've modified them using photoshop or similar programs and apps. Rule #4: Be an active member, in other words post comments, blogs, favorites or deviations. Rule #5: Notify me of any problems and I'll try to solve them. That's pretty much it, so I hope you guys have fun and enjoy the group! This is a list of quotes from Dormammu talking to the members of the Manhattan clan and then some. This list features quotes of what I think he'd say to them before(B) and after(A) fighting them. Q1B: "Well if it isn't Goliath, leader of the clan"
Q1A: "And you call yourself a defender of the night"
Q2B: "Your starting to age Hudson, lets see if you've still got it in you"
Q2A: "Looks like its time to step down from clan leader old man"
Q3B: "You think your little toy is going to hurt me? We'll see about that"
Q3A: "That just goes to show you that sorcery will always triumph over technology"
Q4B: "Well if it isn't Angela the princess of the group, I'm going to enjoy this"
Q4A: "Even the purist of souls can be corrupted by my influence child"
Q5B: "Brooklyn, how's the family?" Q5A: "Let's hope that your family can defend themselves better than you because they're next"
These are our group's favorite deviations. Hi there I was wondering if anyone could/would be kind enough to give me some tips/help in regards to Demona's wings. I'm trying to make them for July's CONvergance. The problem is that I need to fit them into a carryon/suitcase. I'm new to cosplaying and any help would be appreaciated. Please and Thank you. Jun 11, 2013 New G.V. Contest, Comic Book Crossover! Nov 9, 2012 Start Submitting and Contributing now! These are the deviants who founded and supported the group. These are the latest contributors to the group. Latest: New G.V. Contest, Comic Book Crossover! These are our group's favorite deviants. These are the groups we've affiliated with. 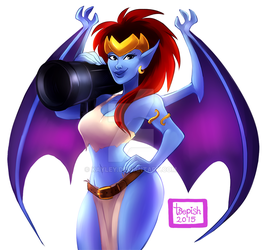 Would anyone like to do a Gargoyles roleplay? Accidentally posted drawing of charters that aren't villains here (kinda got mixed up in what group I was in..) How do I change this? Hi Everyone, since I just joined, I just thought I'd introduce myself! Gargoyles is my #1 Favorite Disney Show! 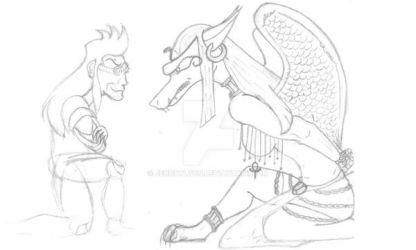 and My most Favorite villains are Jackal and Hyena, and Thailog! But Maybe such a movement, as Fox said once, just Needs A push! with that in mind, I guess that means Im going to have to be the first one to do so! Hi, I'm just typing to say that I submitted a deviation but I accidently put it into the Featured instead of the Comic folder. Sorry about this - if you could tell me how to put it into the correct folder, I'll do it asap. Hmmm, I might be up for that. Thanks! I'm sure there's a few. We have 101 active members and counting!